Ratings Results of Interest: On Sunday, HBO’s Game of Thrones returned after a long wait with its Season 8 premiere and pulled a 5.0 rating based on same day viewing for the 18-49 demographic with 11.8 million total viewers. That’s actually down from the Season 7 finale which pulled a 5.7 rating based on same day viewing and 12.1 million total viewers. But HBO is claiming that the total viewership including encore runs and streaming on HBO Go and HBO Now for the night is 17.4 million which sets a series high. No matter how you slice and dice the numbers, that 5.0 rating is quite an impressive accomplishment in the Peak TV crunch era and will certainly encourage the network to speed up production on the spin-off shows currently in the works. Over on Starz on Sunday, American Gods could not compete with the Game of Thrones hype and remained low at a 0.08 rating with 240K total viewers. On Friday, MacGyver improved to a 0.7 rating with 6.1 million total viewers for CBS as that one has aired new episodes for two weeks in a row for the first time in a while. On Thursday, FOX’s The Orville remained low at a 0.6 rating with 2.6 million total viewers after a few weeks off. 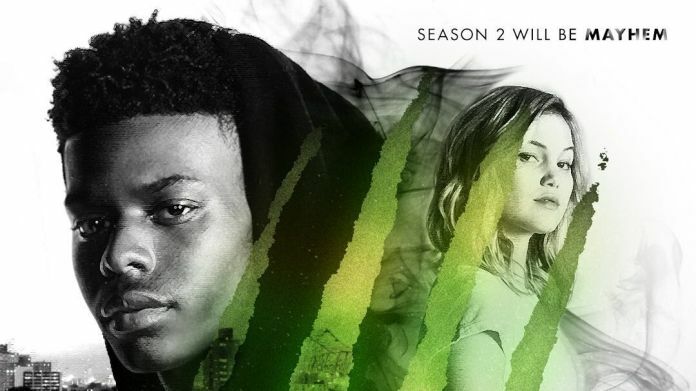 On Freeform, Cloak and Dagger saw no improvement to its numbers as it posted a 0.13 rating with 404K total viewers. On Wednesday, FX’s What We Do in the Shadows took a big drop from last week’s 0.27 ratings score as it posted only a 0.11 rating with 305K total viewers. If that one does not rebound it could find itself in trouble pretty quickly. Over on Syfy, Happy! improved a tick to a a 0.10 rating with 303K total viewers, but that will do nothing to get it off Bubble status. In the lead-in hour, The Magicians improved to a 0.20 rating with 505K total viewers. On Tuesday, Roswell New Mexico remained low at a 0.20 rating with 826K total viewers as it once again only had a repeat of The Flash as its lead-in. On Monday, AMC’s Into the Badlands slipped further to a 0.14 rating with 413K total viewers. Over on Freeform, Shadowhunters slipped to a 0.10 rating with 305K total viewers. And on The CW, Legends of Tomorrow improved to a 0.3 rating with 947K total viewers. News Roundup: Hulu has announced that its sci fi comedy series Future Man will be returning for a third and final season. The Disney+ streaming service will launch on November 12th at a cost of $6.99 per month or $69.99 per year. The live action Star Wars series The Mandalorian will be available for streaming at launch. In development news, a female-led Hawkeye series will be coming to Disney+ and HBO is adapting Philip Roth’s alternate history novel The Plot Against America. You can read about those and more development at this link. A Discovery of Witches (AMC, Status – Renewed): The linear numbers for this show are not great, but it has already been available on the Shudder and SundanceNow streaming services and it has been renewed through a third season by Sky One in Britain. Game of Thrones (HBO, Status – Final Season): A strong return for this show’s final season makes you wonder if HBO execs are questioning the decision to end this one with its eighth season. But they have several spin-offs on the way, so the network is not done with this franchise yet. What We Do in the Shadows (FX, Status – Renewal Possible): This show got off to a decent start ratings-wise, but then took a dive with its third episode. We will see how it tracks in the coming weeks, but this one may be in need of a Call to Action from fans.